In 1991, Rafael Medina, Jr. started Rafael Construction, Inc., a general contracting company. 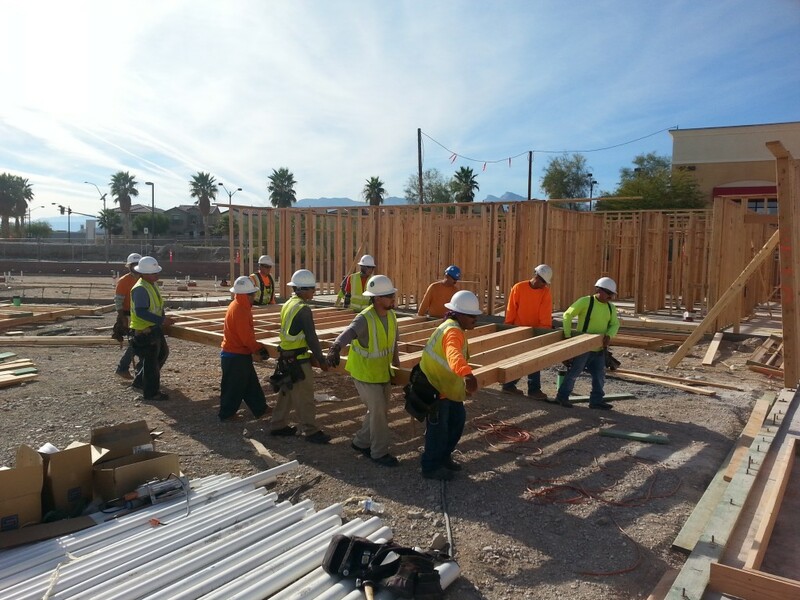 Several months later he noticed a need for quality commercial framers in the Las Vegas Valley. Rafael’s astute insight led him to start what has become a highly sought-after framing division. Due to its remarkable success, Rafael Framers is now its own entity, with an unlimited C-3 carpentry license. that locale. The company has achieved incredible success in this venture. Rafael Framers has also completed several million square feet of panelized roof structures. On our higher end jobs, our framing division has worked on multimillion dollar projects including Sansone Phases I & II. I’ve been continually impressed with Rafael’s structure and integrity in an industry that doesn’t encourage either. The quality and management has allowed out firm to maintain our tight timeliness. – Amador Benochea, Owner Bentar Development, Inc.
Rafael Framers has been committed to providing us with complete and accurate estimates, project quality, adherence to project schedules, and project safety on all of our projects. – Wade Pope, Vice Pres of Construction, Roche Constructors, Inc. The quality of work pricing, performance and overall responsiveness has always met or exceeded our expectations. – G. Nick Stark, Vice Pres. of Construction, B.H. Miller Contractors, Inc.